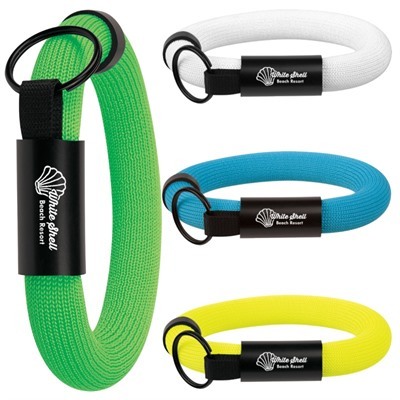 Your promotion never sinks with Printed Floating Wristband Key Holders. A fabulous give-away for swim schools, beach resorts and sailing clubs. Keys will float when attached to these expanded Polyurethane Foam bands. They come in bright colours allowing for high visibility when in the water. Customise with your business name and logo, get your brand floating and keep client’s keys from sinking.